From The Americans to Kill Your Darlings -- not to mention photo shoots and other editorial work -- makeup artist Linda Kaufman keeps herself very busy. 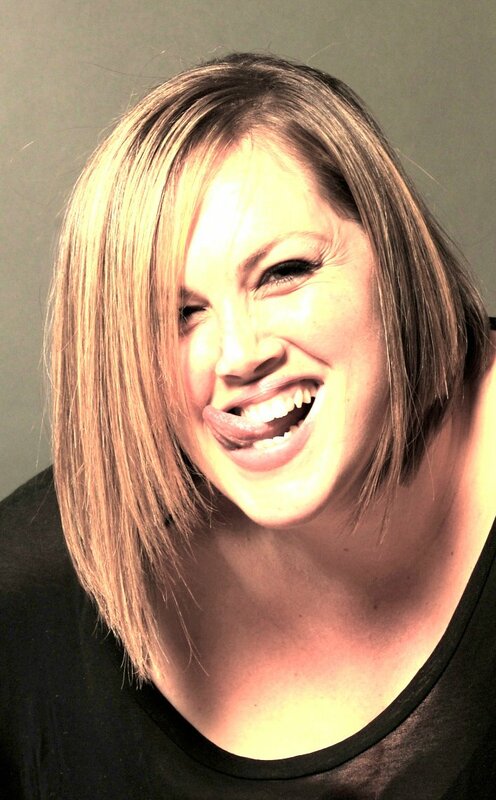 Not to mention she's super knowledgeable about all things makeup and beauty related! Read on to find out which college class made her want to become a makeup artist, the lip balm she can't live without and so much more. I am from upstate NY, grew up in the pastoral splendor. I went to a Waldorf school from kindergarten through high school. Waldorf really includes arts in the curriculum and it was there that I began to dabble in makeup artistry by painting bruises on my basketball team's arms, legs and faces to make us appear tough. We weren't tough. My friend suggested that I could do a similar line of work later in life and I remember not even considering it as a career, no one could possibly make a living painting faces! I went to college at Mt. Holyoke. I hated being in school with all girls and to this day still do not know why I chose that path. I ended up taking more then half of my classes at Amherst College and majored in Fine Arts with a minor in film studies. I made artsy Maya Darren, Yoko Ono type films. My teacher suggested film as a career and there too I remember not even considering it. No one could possibly make a living making films! So here I am now, painting faces and making films. I don't know if this just proves how highly susceptible to suggestion I am (order dinner off a menu near me and see how true that is) or just how blind I am to the future. I guess in retrospect I am thrilled to be both. I wanted to be Audrey Hepburn when I was growing up. I wanted the fabulous eye makeup and the Breakfast at Tiffany's hair and the willowy body that looked magnificent in a shift dress. So I figured the makeup and hair might at least happen. My makeup was rarely over the top but I did a good eye and my hair, well it was never what I wanted but I did do some really great updos. I would weave things through them, use 85 bobby pins in one style. I wore a black oversized hooded sweatshirt and cargo pants every day but my hair and makeup were always done. In my last semester of college I took a class called "makeup for the stage" because I needed another credit and that seemed a ridiculously easy way to earn it. I LOVED that class. We made bruises and gashes and abrasions and wore them out to the bars. We slimmed half our face and fattened the other and watched in horror as the old age makeup showed us what we would look like in fifty years. My teacher from that class gave a horrible grade to the three of us taking the class who were not theater majors and it messed up my whole GPA in my final semester but the magic that we learned stuck and I was hooked. After a brief stint working in fashion, I was unemployed when I stumbled upon an unpaid internship on a film shooting locally to where I had grown up. I slaved for two months in cold so bitter my eyelashes often froze together on my morning commute but I loved it. I loved the whole world and the atmosphere. There was an additional makeup artist there for one crowd scene and she asked me what I ultimately wanted to do. I told her I wanted to do what she did and she took my information. I definitely thought that was the end of that but three months later she called me and I interned again but this time in the makeup department. I worked for years with the two Irish sisters who had hired me and they taught me everything. I guess it’s only now that I realize how impossibly lucky I was to stumble into two of the nicest and truly most amazing makeup artists. I still love to work for them. What are your top 5 beauty products and why? Eek. Only five? Hmm if I was making this about what I use at work it would be all different but I will list the things I personally use, although this is super hard because I am sort of a consumer. Fresh Sugar Lip Treatment SPF 15. They need to hire me. I sell this to anyone near me when I am buying it. It is the best. I could wax poetic for a long time. It smells divine, it looks great, it feels better and it lasts and lasts. I know it’s expensive but it is so worth it. 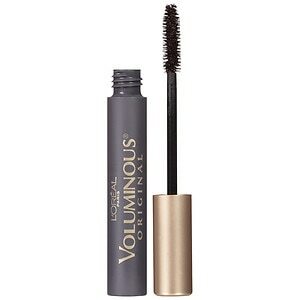 L'Oreal Voluminous Mascara. People keep trying to convince me there are better ones. I just never agree. Curved brush, blackest black. Bobbi Brown Black Plum Eyeshadow. It’s the perfect color for me. I have green eyes and it brings them out but blended down still looks like a neutral. I wear it daily. NARS Single Eye Shadow in Cairo. Looks good on everyone, mixes with everything, you can’t mess it up. It’s great. Shiseido sunscreen. I don't care which one. I'm not allergic, it dries non shiny, non greasy. What are your top beauty tips? 1) Mix water in with your eyeshadow to make it into a better liner and give it staying power. 2) Clear skin looks better then covered skin so start before makeup by taking care of your face, mind and body (this sounds very preachy, I know, but it is true). Water intake, sleep or lack thereof, stress and poor eating or hygienic habits will manifest themselves onto your skin. Take care of yourself (that's just a basically good life lesson as well). 3) Less is more. Makeup shouldn't be what you use to change everything. It is there to highlight your assets. Find them, embrace them and highlight them. 4) Have fun with it! It’s supposed to be fun! It is fun! Also, it's just not that serious. It is ridiculously fun. There usually is no spare time when I’m on a job but when I’m not working I try to catch up on the life that I don't live while I’m on set. I walk all over New York in nice weather. I love to travel and try to as much as possible. I go upstate and see my family, lay around and watch Hulu and eat giant bowls of salad. I read like a giant school nerd and love movies, too. I will play volleyball, basketball or football with anyone who asks anytime and I go to a lot of brunches. I like to coddle other people’s dogs and babies and I write picture books every year for my father for Christmas. I also am a new convert to Pilates (probably still striving for that Audrey Hepburn shift dress body) and I love to go to really spectacular New York restaurants and try food that blows your mind. In the future I would like to spend some of my spare time learning how to use punctuation because it is clearly not something I am concerned with now.